This is the stoat. Also known as the short-tailed weasel, this little animal is nominated as one of the world’s 100 most invasive species; that list is actually dominated by plants and insects, so this cute guy actually ranks as one of the top 10 invasive mammals. Invasive? Really? They just invaded my heart. Why are they so invasive? Well, as it turns out, they’re really adaptive; they can adapt to many environments, and it thrives in most climates. It has a ‘summer fur’ and a winter fur. The winter fur is very dense and silky, but quite closely lying and short, while the summer fur is rougher, shorter and sparse. Usually, they eat mice or other rodents, and occasionally, even hares – though it’s usually juveniles. The stoat is an opportunistic predator, which moves rapidly and checks every available burrow or crevice for food. Because of their larger size, male stoats are less successful than females in pursuing rodents far into tunnels. They also regularly climb in trees to check for birds nests. 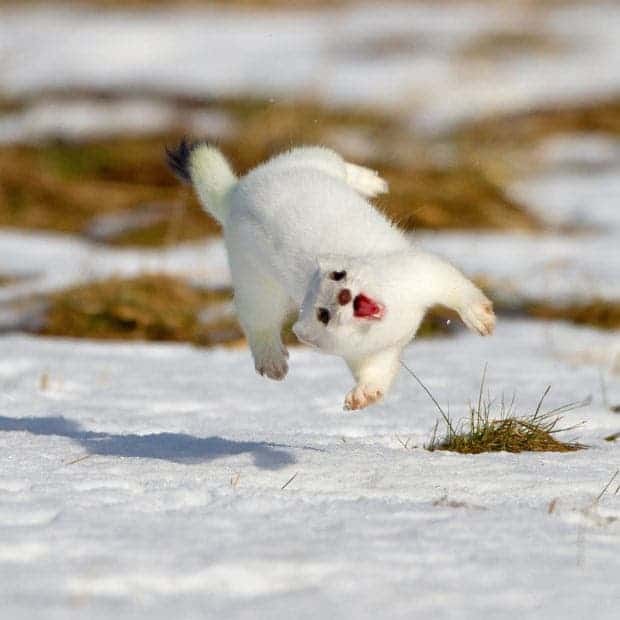 The stoat reputedly immobilizes prey such as rabbits by mesmerising them with a “dance”, though this has not been researched thoroughly. The stoat inhabits an impressive area: they can be found throughout virtually all Europe, from the southern warm climate of Portugal to Scandinavia, from Greenland and the Canadian and Siberian Arctic islands south to about 35°N. Stoats in North America are found throughout Alaska and Canada south through most of the northern United States to central California, northern Arizona, northern New Mexico, Iowa, the Great Lakes region, New England, and Pennsylvania, as well as in many parts of Asia and even Japan. But it can also be found in New Zealand. The stoat was brought to New Zealand to take care of the rabbit invasion, who had also been brought previously. 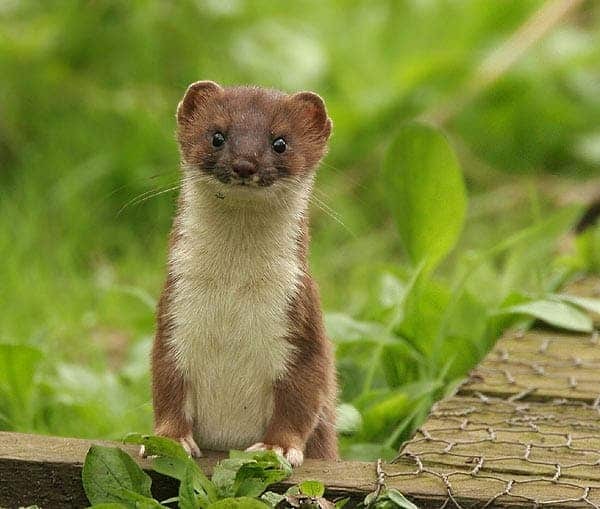 The introduction of stoats was opposed by scientists in New Zealand and Britain, but the scientists’ warnings were ignored (as usually, sadly). After only six years, all bird populations faced a rapid decline, and to this day, the effects have been devastating on virtually all rodent and bird species – a testimony that introducing a ‘foreign’ animal in a different ecosystem is not something to be taken lightly. Stoat skins are prized by the fur trade, especially in winter coat, and used to trim coats and stoles. The fur from the winter coat is referred to as ermine. But this is in no way a solution to ending the invasive problems of the stout – two wrongs don’t make a right!